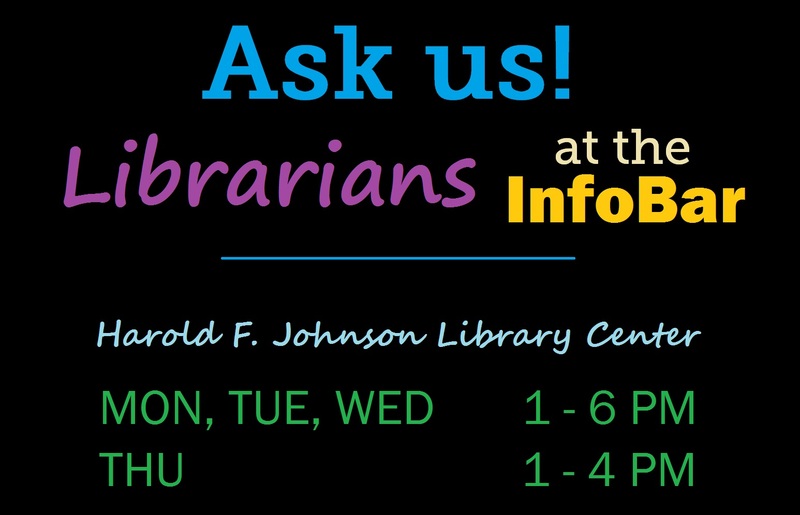 Librarians are available for walk-in help at the InfoBar, on the first floor of the Harold F. Johnson Library, weekday afternoons. We can help you with: finding a topic for a paper or project, finding research materials (articles, books, music, films, images, etc.) for papers and projects, citing and tracking resources, navigating the library databases, using e-books, requesting books or other materials, and much more. Come on by and ask us!